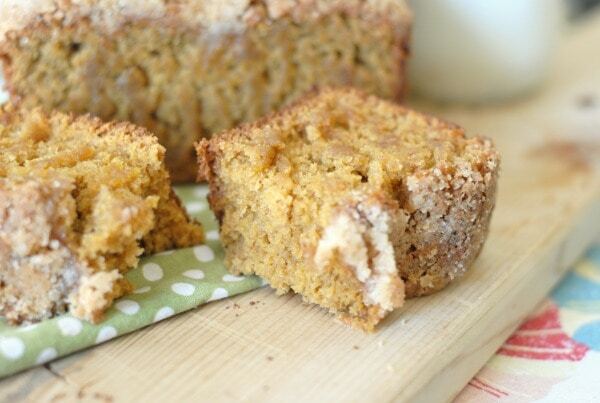 Enjoy this delicious Crumb Topped Pumpkin Bread! Disclosure: This post is sponsored by Pompeian; however, all thoughts and opinions are my own. 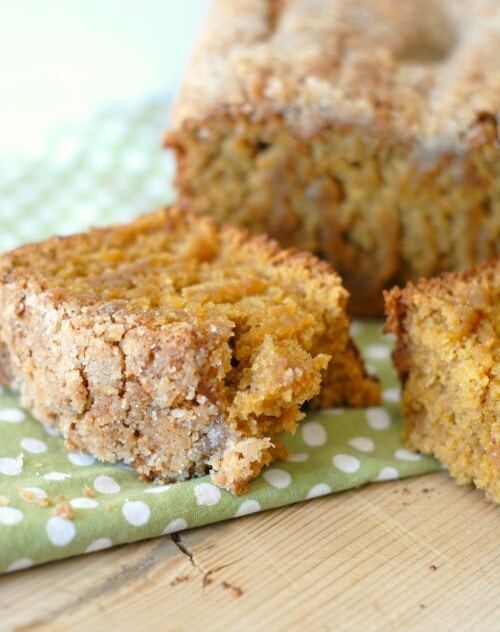 Each year, I always have to make a batch of pumpkin bread, it’s just necessary this time of year. 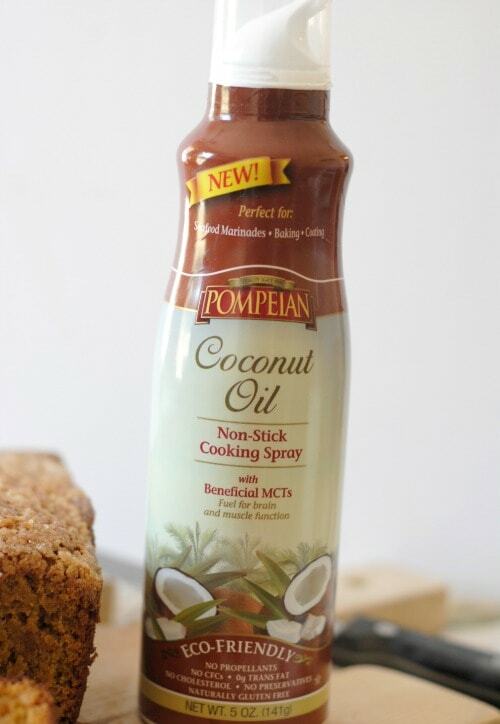 This year though, I was even more excited to try out my pumpkin bread recipes so that I could use my Pompeian Coconut Oil Spray. The Pompeian Coconut Oil Spray can actually be used for not only baking and coating but also on seafood and in marinades. The smoke point for this spray is 420* and it has no propellants it’s purely coconut oil. That was exactly what I needed to bake this pumpkin bread. 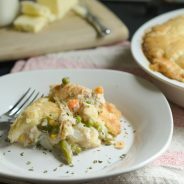 I have to admit both my husband and I were blown away when we pulled this out of the oven and released it from the pan, it was so simple and released perfectly. There was no sticking at all and we had a delicious loaf of bread. I ended up using it on cookies as well that particular day, again working well and it adds a very subtle flavor to the food as well. 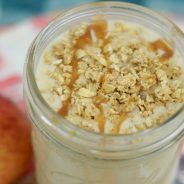 The coconut flavor complimented the pumpkin perfectly. 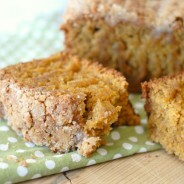 I decided to also add a crumb top with this pumpkin bread, it can be made using cinnamon, sugar, butter, and flour. I also added nutmeg to it this time too. Oh it was wonderful! This recipe makes 2 bread loaves, which means one for you and one to give away…right? Pompeian is now introducing this line of sprays that includes Coconut Oil Spray, OlivExtra Original Spray, and Avocado Oil Spray. I am excited to try each of these, but I’m definitely anxious to try the coconut oil spray on more recipes. It may end up being my go to spray for meals. 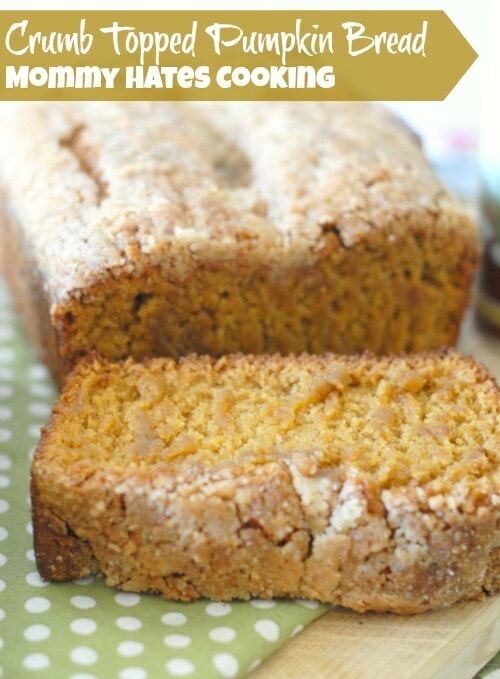 Now I can sit back and dream up a few more recipes while sipping on coffee and eating a slice of pumpkin bread. Sounds dreamy to me! 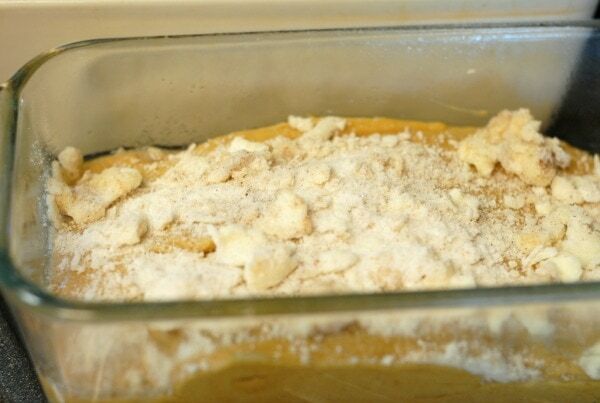 In a large mixing bowl, mix all the dough ingredients together up until the baking soda. 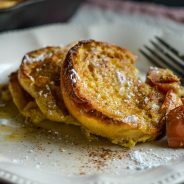 Spray the Pompeian Coconut Oil with 2 standard size loaf pans. Pour half the batter into one pan and the remaining batter into the second pan. 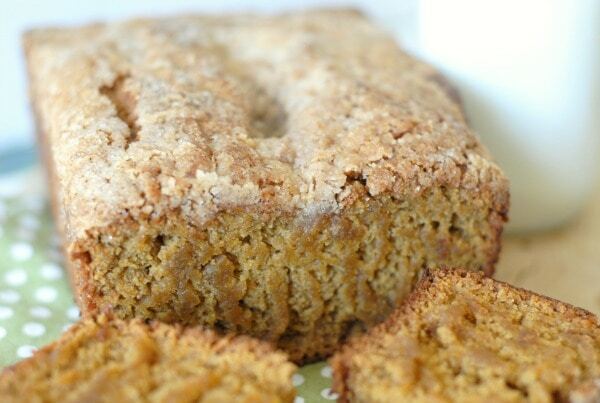 Combine the crumb topping ingredients and sprinkle it evenly over each loaf. Bake for 45 minutes or until when poked with a toothpick in the deepest part of the bread it comes out clean.